If you’re thinking about making a personal injury claim, we know you might want to know a bit more about what’s involved. While the process can vary depending on your case, we’ve outlined some of the main steps below to help you understand more about claiming. If, after reading this, you’re still feeling unsure, you can reach us for free on 0800 234 6438 for advice on your claim without any pressure. The first step towards making a compensation claim is to get in touch with us for free on 0800 234 6438 or by submitting our online claim form. You may feel hesitant about contacting us, because there’s an industry perception that we might force you into starting your claim right away – but this isn’t true. We’ll never push you into claiming – we’re simply here to learn more about what you’ve been through, and to give you the best possible advice. During your call, we’ll also be able to run you through the claims process in more detail and answer any questions you might have. After you’ve had your questions answered and we’ve found out a bit more about what you’ve been through, we’ll be able to let you know whether you could make a compensation claim. You don’t have to take it any further if you don’t want to, but if you do decide you’d like to go ahead, we’ll then put you in touch with a specialist solicitor on the same call. After you’ve decided you’re ready to speak to a solicitor, we’ll transfer you to one of our specialist partner solicitors, who will have experience working with cases like yours. They’ll answer any remaining questions you have and give you a free consultation on the next steps of your case. If you decide to pursue your claim, your solicitor will become the main contact for your case – they’ll be on hand to answer any questions and keep you updated on its progress. To be able to help you make a claim, they’ll need to ask for some more details about your injury and the impact it’s had on your life – this is so that they can make sure you receive all the compensation you’re owed. Your solicitor will start your claim by letting the other party know that you’re making a claim. To do this, they’ll send a ‘Letter of Claim’ as required under the personal injury Pre-Action Protocol, which will include the details of your injuries and accident, as well as the effects they have had on your life, finances and family. The other party then has 21 days to acknowledge your letter of claim and will then either admit or deny ‘liability’ (responsibility) for your injuries. It’s not uncommon for them to deny liability at first – if this happens, your solicitor will gather evidence to prove that the accident was their fault. During your claim, your solicitor will be able to do most of the hard work for you, leaving you with the time and space to concentrate on your recovery. They’ll negotiate with the other party on your behalf and keep you regularly updated on the progress of your claim. They’ll also be able to help you to decide whether to accept any compensation offers. There might be some paperwork along the way, but they’ll be able to explain everything to you and can do most of it on your behalf. Most of our claims are settled out of court. But if your claim does need to go to court, your solicitor will be able to give you advice and help – in some cases you might not even need to appear in person if you don’t want to. Your solicitor may also be able to arrange for you to receive ‘interim’ payments of compensation before your final settlement, to cover your immediate needs and the short-term costs of your injuries. If your claim is successful, then you’ll receive your compensation – it’ll often be paid by the other party’s insurance company. It’s difficult for us to say exactly how long your claim will take, because no two cases are the same. But once your claim has been settled, you’ll usually receive your compensation quite quickly – normally within two to four weeks. Your browser cannot play the video. This video provides a simple guide to the compensation claims process and how you can get the compensation you are entitled to. Many people who get in touch with us are keen to know exactly how much money they’ll be able to receive. It’s difficult for us to give you an exact figure because every case is different, but you can try our online compensation calculator to get a guideline amount. Will my compensation include loss of earnings? Any compensation you receive will cover your loss of earnings if you can prove these losses. You can do this by giving your solicitor your payslips for the few months before the accident, and any evidence that shows you have also lost out on regular overtime or bonus payments. You may also be able to claim for loss of future earnings – for example, if you you were expecting a promotion, a pay increase and or bonus. Our solicitors will be able to talk you through this in more detail. If you’re self-employed, you can ask your accountant for evidence of your income to support your claim. If you think you’ve also lost out on future work, then you need to be able to show you would have had that work if you hadn’t been injured. For example, you may have emails negotiating or concluding a contract, or meeting notes. As part of your claim, your solicitor will arrange for you to go for a free medical assessment. Although this might not sound like something you want to do at such a stressful time, it’s a good opportunity to get a second opinion on your injuries, and it also provides important evidence for your claim. Your medical assessment usually only takes 20 minutes and can normally be organised locally. Based on your assessment, you’ll receive a written medical report which will be used as evidence of your injuries. Your solicitor will be able to give you more information about this when you speak to them. 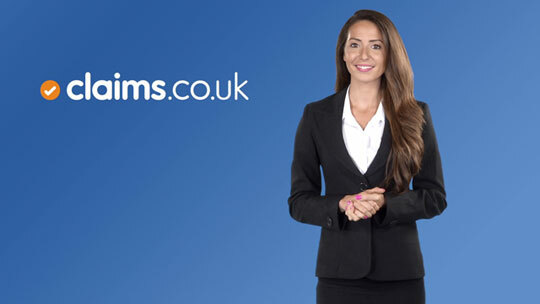 You’ll usually be able to make your claim using our no win no fee agreement. This takes the financial risk out of claiming, because it makes sure you won’t be left out of pocket if your claim isn’t successful. With no win no fee, you don’t have to pay any money if you don’t win your case. If you do win your claim, you’ll need to pay a success fee as a percentage of the compensation you receive – but this won’t make up more than 25%. What information should you be gathering? Your solicitor will need you to provide as much information as possible about the accident because the stronger the evidence, the greater your chances of winning compensation. They’ll be able to give more detail when you talk to them, but evidence could include any photographs of the location of the accident and your injuries, details of witnesses and an entry in an accident log book. You might also have to hand a police accident report or a report from the Health and Safety Executive (HSE), sketches of the location of the accident and how it occurred, and a diary recording your recovery and the wider impact of your injuries on your life and finances. You have three years after your accident to start a claim, otherwise you may be ‘time-barred’ under the Limitation Act 1980. This means you need to consult a specialist solicitor as soon as possible. If you’re claiming on behalf of your son or daughter (or any other child), they have until they reach 21 years of age to make a claim; and if you’re claiming on behalf of someone with a mental disability, the three-year period does not start to run until they’ve regained their mental capacity. Can I receive any early compensation? You might be able to get some of your compensation early – this is known as an ‘interim payment’ and is designed to help cover your living expenses and medical costs while your claim is still in progress. However, interim payments can only be made if the other side has admitted responsibility. Your solicitor will be able to give you more information about whether interim payments could be an option for you. What if the other party denies responsibility? The other side might not admit responsibility for your accident straight away. They might even claim you were partly responsible. Once they’ve given their initial response to your solicitor’s ‘Letter of Claim’, they have three months to investigate and give their own version of what happened. If they deny responsibility, your solicitor will gather evidence to prove that the accident was their fault. Your solicitor will deal with your compensation claim in accordance with the personal injury Pre-action Protocol which governs how your claim is to be dealt with (up to the time formal court proceedings are issued). If the other side doesn’t admit responsibility, or you can’t agree a compensation settlement, your claim will then be allocated by the court to one of three ‘tracks’ (the small track, fast track or multi-track). This will depend on the value and nature of the claim. Your solicitor and the other side will then have to work to a strict timetable with the purpose of bringing your claim to an end as soon as possible.